This year I'm hoping to set up more of a structured studying schedule and stick to it, I think sticking to it is the harder part. I'm going to try and make sure I don't have to finish any of my seminar prep just before a seminar starts. Whilst I did do a lot of reading last year I felt I could have done more, I think this will also help me when I write my essays. By this I mean keep reading books that aren't to do with my course, last year I didn't read any books other than ones I needed for my course! Over the summer I've got back into reading and have quite a few books to take back to university with me. This may sound like a slightly odd goal but my new uni house is around 40 minutes away from campus so I will most likely end up getting the bus a lot of the time but I'm hoping to make myself walk home at least once a week, partly to save bus money and partly to help keep myself fit! I actually think I eat better at university than when I'm at home, but I'm going to try and be even healthier. That means I need will power so I don't eat packet of biscuits in one go which I've done of more than one occasion. I didn't blog the whole of my first year as I had interest in blogging and this made me unmotivated to fit blogging into my schedule. This year I'm hoping I'll be able to keep blogging throughout the year even if it's less often. Hopefully I'll be able to stick to all of these, I'm quite sure about the eating healthy one though! I wrote about my experience of my first semester here so I thought I'd write about the second semester too. The second semester started after my exams in January and ended in June so was split up by the easter holiday and was longer than the first semester so sorry for quite a long post. January came around and so did my first lot of university exams, I was pretty nervous about them. They're not really that much different from any school exams in the sense that you turn up to the room and find your seat, one thing that I did find different was that the invigilators didn't read out any information from the front they just told us to start. We also had to seal the corner of our exam papers by licking them, which was weird the first time as I was looking around the room thinking why are people licking their exam papers?! Whilst in the midst of exams and revision my flatmate Sophie and I (yes we're both named Sophie kinda weird) decided to book onto the trip to Amsterdam that our hall had organised. It was nice to look forward to something during the exam period. So exams finished and off we went to Amsterdam, the coach came to pick us up at 9 on the Saturday night and after surviving a 3 am ferry we made it to Amsterdam at 10 am on the Sunday morning. After travelling all night I felt pretty gross but our rooms weren't ready yet so I had to make do with a slightly make shift freshen up in some cramped toilets. I'm actually surprised I didn't look worse during the first day. We didn't really know where anything was but we knew we were hungry so off we wondered to find somewhere to eat. We finally stumbled upon a place that sold pancakes, this made us very excited after only eating a not so great cheese and tomato toastie on the ferry. We went in and I ordered the chocolate pancake (picture 1), they were pretty big, having said that Sophie and I both looked at them when they arrived and said they weren't big enough! We were wrong! After eating we explored and went to the I Amsterdam sign and then the Van Gough museum. As part of the trip we had free entry into a club on the night so we went back to the hostel and got ready. We were pretty tired so didn't stay very long. The next day we hired some bikes (picture 3) and made our way to the Anne Frank house, we both found this very interesting and sad, it was weird to think that we were in the rooms where they hid. After this we went on a boat cruise on the canal. By this point we were very hungry so made our way back to the hostel where we asked the receptionist where we could get some good pasta. She recommended a place, which turned out to be really posh and charged 40 euros for two courses (not student friendly) plus we looked very out of place with our rucksacks, we eventually found somewhere we could afford! The next day we had to make the long journey back to Nottingham, save to say as soon as we got home we went straight to bed! February wasn't the most exciting of months, I had just started my new modules for semester two so was having to get used to a new timetable. I ended up getting pretty ill, I thought it was just a mild cold but it need up lasting over a week, it probably didn't help that I went out one of the nights but it was a night out we had had planned for a long time. I missed most of the lectures that week and spent my time in bed with a dozen tissues! Nothing particularly exciting happened in March, most of it was spent writing essays. We did however make quite a few pancakes on pancake day, we ended up having to mix the mixture in one of my casserole dishes as we didn't have a mixing bowl! (picture 8). My friend from school who's studying at Leicester University came to visit near the end of March and we went on a night out, it's always nice to be able to catch up with school friends. Most of April involved revising for summer exams, I had 4 weeks off for Easter so I was able to just get on with revision. During the holiday I went to visit my friend Emily down in Winchester, it was the first time I'd been to visit her at her uni and we hand't seen each other since Christmas so it was great to catch up and have a break from revision! Right at the start of April we had our spring ball (picture 6), like the Christmas ball the food was really nice and there was a chocolate fountain. I also ended up embarrassing myself on the way to my table as I lost my footing because the floor was wonky and nearly ended up falling over, may I add I was wearing pretty high heels. The dreaded exam season began as well as some nice sunny weather, which we weren't able to enjoy fully due to the exams. As much as I hate exams I quite like being able to focus all my time on revising rather than having to attend lectures at the same time. I spent most of May stuck in my room with Netflix for company. The last month of first year! My exams finished on the 4th, this was good as they finished before term ended but annoying as all my flatmates finished a day before so all went out to celebrate whilst I had to stay in the flat to prepare for my last exam. I also went home for my mums birthday and then got the train back to uni as we had tickets for night out and day festival. Then I was back home again for the weekend to go to Download and then back to uni for one last night out and to collect my results. So I was pretty back and forth for the whole of June! 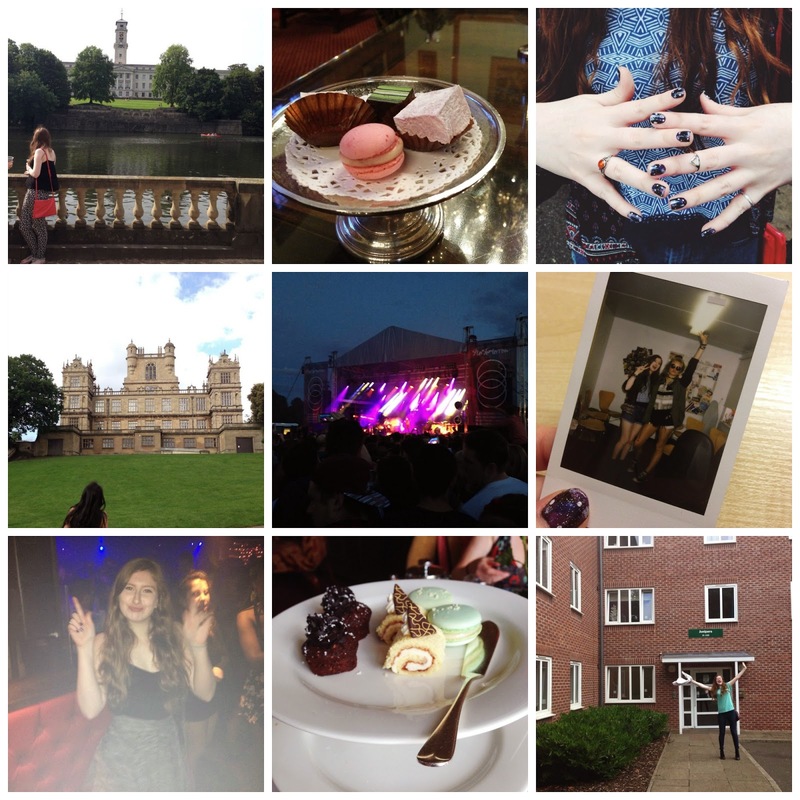 Overall I had a great first year at university, I'm moving into my new uni house tomorrow and started year two so it's quite weird looking back at my first year! I wish I could say I spent the summer in a far off land discovering myself or spending my weekends at festivals with my friends but unfortunately I can't. In all honesty the majority if not all of my summer would be considered pretty boring but having said that I have to admit that I didn't mind that much. 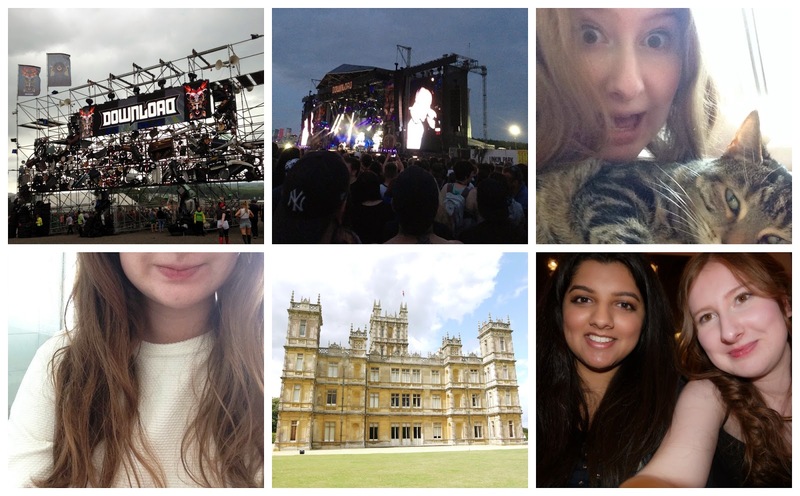 I still managed to have a good summer so I thought I'd do a round up post. 1: My summer holiday started way back at the start of June when I finished my exams, term didn't technically finish until the 20th of June but I was officially free from exams and so my flatmates and I were able to make the most of campus.We're lucky enough to have a lovely lake on campus and so we started our summer by taking some Pimms down to the lake and then hiring a boat. I discovered I'm pretty bad at rowing and steering a boat! 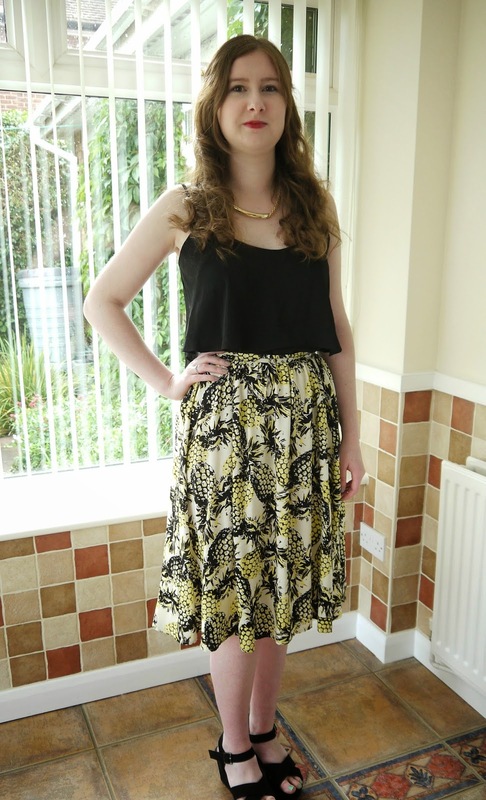 2: It was my mums birthday the day after exams finished so got a train home and we went out for a meal to celebrate. We went to Rushton Hall, which is near Kettering, i'd recommend it if you live in that area. The mini macaron was so cute so I couldn't help taking a picture of it, it was also extremely yummy! 3-6: These are all photos from a day festival I went to called the No Tomorrow festival, it was held at Wollaton house. It was my first experience of a festival and whilst it was only quite a small one it was still a good day out. I painted my nails in a galaxy design (tutorial here) and decided to dress as festively as I could! My favourite acts from the day were Clean Bandit and Sam Smith. 7: My last night out as a fresher, may I add I was completey sober in this picture! It was quite sad as it was the last time I saw some of my university friends and I haven't seen them all summer so it will be great to be reunited with them next week. 8: More yummy food! My nan turned 80 in June and we went for an afternoon tea, it was at Rushton Hall again and was extremely yummy. They're were more macarons, these ones were apple flavoured. 9: This is me doing some weird pose outside my halls on our last day, we'd just been given our results and I had passed with a 2:1 so I was very happy. The second window on the bottom floor was my room so it was right by the entrance which did get annoying but I managed to get used to the noise. It's quite sad thinking I'll never go back to the flat again especially as this year I'm living on the other side of campus so won't really ever be in that area. 10-11: My second festival of the summer, again I just went for the day. The main reason I went was to see Linkin Park, I went with my mum as she likes them too, we both had a lot of fun even if my mum was paranoid that someone was going to throw a bottle full of wee at her! 12: I spent a lot of time with my cats this summer which resulted in more than one or two cat selfies. 13: I decided to get my hair cut after having it the same length for about three years, it wasn't a massive difference but it felt a lot better after the chop. 15: Reuniting with school friends, I was able to see my friend Emily twice, once at the start of the summer and once nearer the end. I also had a meal with some other school friends such as Kavita who's in the photo above. So that's my summer, looking back on it I've done more than I thought, I think it's just because most of the things I did were right at the start of the summer and seem so long ago. What did you get up to over the summer? At the end of August I went to visit my friend Emily in Winchester, whilst I was visiting we went into Southampton for the day and ended up spending a lot of our time in the Ikea. 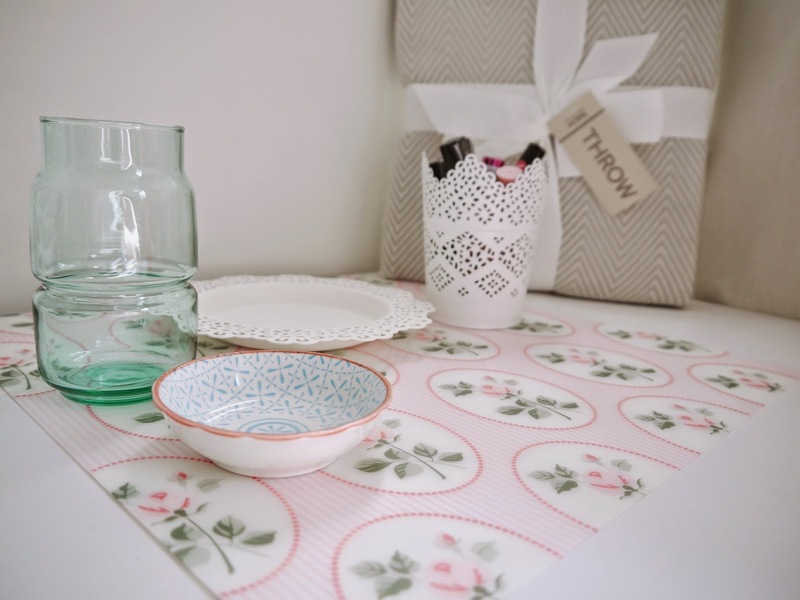 I helped Emily pick out some things for her new room and also picked up some bits for myself. I probably would have got more but I had to get it home which involved going on the underground so I didn't want to risk buying lots of items. The green vase, floral mat and two candle holders where from Ikea and only cost me £5.50 overall which I thought was really good. As you can see I'm storing some of my lip products in the candle holder. 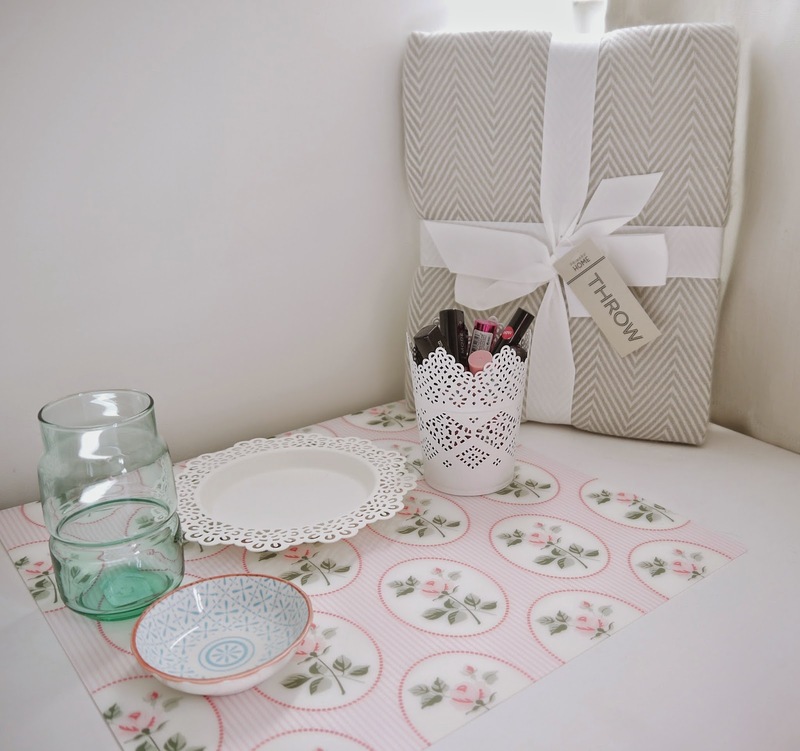 I think I am going to use the vase for makeup brushes, the mat is going to go on my desk and I'm not quite sure what I'm going to use the other candle holder/plate for, I bought it because it looked pretty! The throw is from Primark (£10), they also did it in a lovely mint colour but I decided the grey would work better with my bedding. 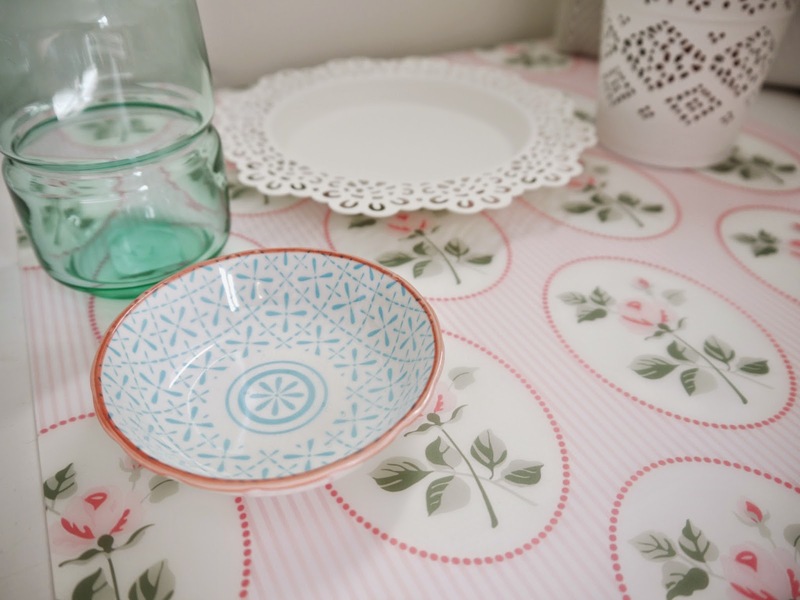 Lastly on the way back from Emily's I popped into a shop called Joy at the Waterloo train station in London, where I picked up the small bowl for £3.50, they had a few other patterns too. I think I'm going to use it to store rings in. 1-2: Technically these aren't pictures from my week but my flatmate got her disposable camera developed and it had some photos from when we went to Amsterdam way back in January. It was great to finally see the pictures and luckily they'd all developed properly. 3: I went up to my new university house on Thursday to move some stuff in, this picture was taken before I'd moved most of it into the room. There's still more to move such as clothes but I'll take them when I actually move in. 4: On Tuesday and Wednesday I did some babysitting, it was spent mostly watching cbeebies most of the shows I'd never seen before but the Tweenies was on at one point which was weird as I used to watch that when I was little. 5: I ended up getting a mild cold at the start of the week, luckily it didn't last very long! 6: I finished reading Gone Girl, I have to say at first I found it quite hard to get into at first, the story didn't quite grip me but after a while I really got into it and I would recommend it. 7: Cinema! I went to see Before I Go To Sleep with my mum, we'd both read the book so wanted to see what the film was like. It was quite good but they had changed a few bits some of which where fine but sometimes I did wonder why they had bothered changing certain parts of it. 8: Packing for university, I move back to university next Sunday so I decided I would start packing some clothes I knew I wouldn't be wearing between now and Sunday. I didn't think I had that much more that needed to be moved into my new room after taking most of it on Thursday but after looking in my wardrobe I think I may have underestimated the amount of things I own! So that's what I've been up to over the past week, quite a busy week compared to what I usually get up to! Today I thought I'd do a post where you could get to know me a bit better, I tried to make the facts as exciting as I could! 4. I once knocked my friends two front teeth out, by accident of course! Luckily it was when we still had baby teeth so her teeth grew back. 5. I like to people watch, I can easily just sit somewhere and watch people walk by (in a none creepy way). 6. I prefer potatoes to chips which might be a bit weird. If we ever go to a pub type place and say they have chicken and chips I'll always ask if I can swap the chips for potatoes and if they're are peas in the meal I ask for those to be swap to beans. 7. I usually spend most of my days wearing my pyjama bottoms if I'm just going to be in the house all day, they're just so much comfier to wear. 8. My first concert was S Club 7, I'm also hoping the rumours that they are doing another tour are true so I can relive my childhood! 10. I have never seen a full episode of Friends, in all honestly it's never really appealed to me. 11. I really hate phoning people up, especially people I don't know, I get really nervous for some reason. 12. I rarely wear my hair up, I feel like I look like a boy if I do! 13. If I'm buying something and there's more than one of them or more than one of my size I will check to see which one is the best. Especially if there is a pattern on a piece of clothing I'll see which one has the best distribution of the pattern. 14. I'm quite indecisive, even with small things like picking what colour scarf to buy! 15. I hate cinnamon, the taste and smell, just everything about it. 16. My favourite ice cream flavour is half baked by Ben and Jerry's, you get cookie dough and chocolate ice cream which is great as the only thing I don't like about cookie dough is that the ice cream is vanilla. 17. My favourite colour is probably mint or duck egg blue. 18. I get anxious very easily to the point where I am sick, not fun. 19. I love bags I think they're 'my thing' some people like collecting shoes I like collecting bags. Plus they'll always fit you whether you gain or lose weight. 20. I've never dyed my hair, I've never really wanted to although I wish I was confident enough to experiment with hair colours and styles more. As part of my university series I thought I would write about my own first year experience. For me personally I knew that I wanted to go to university rather than getting a job or doing an apprenticeship. Having said that I was still very nervous about starting university, the thought of moving away to live somewhere where I didn't know anyone scared me a lot. I remember waking up on moving day and wishing that I had never chosen to go to university, when we got to my accommodation I wanted to turn back around and go home. There was a part of me that was slightly excited though, seeing my new room was quite exciting. I personally found the first day very strange, I had spoken to some of my flat mates before I had moved in but not all of them and at first whilst I thought they were all really nice I couldn't see myself becoming close friends with any of them; which I was completely wrong about but in that first week I felt like I was never going to make friends like the ones I had from school. The fact that the first week was spent going out clubbing was quite daunting too as before university I had never been clubbing before, my friends and I were never bothered about it plus where I live there isn't much nightlife. So walking into the club on the first night completely sober and extremely shy I felt completely out of my comfort zone. I found the first couple of weeks very hard, I was very homesick, which I hadn't expected as I don't usually get that homesick but I think it was because I didn't really know anyone and was having to cook and do everything for myself. I did consider dropping out then and there but decided I couldn't drop out before I'd even tried to get settled so I set myself the goal of lasting until Christmas and if I still hated it then I would reassess my options. It wasn't just being homesick I wasn't sure whether I had chosen the right course, I felt like everyone else truly loved their course and I didn't. Again I think this was down to getting used to things once I started to get settled I found myself starting to enjoy the course a lot more. So fast forward a couple of months and it got to Christmas at which point I was actually was quite sad about going home for the holidays and wanted to stay at university. My time at university definitely improved after the first month or so, so whilst it doesn't seem like things will get better when you are finding it hard to settle in they most likely will. I thought I'd split the rest of this post into months and go into a bit more detail about what happened in each. Like I said above I didn't have the greatest time at the start of the semester so the two weeks of term in September were probably the worst. I'll be honest and say I pretty much cried every time my parents called, I also felt like I couldn't tell anyone as it seemed like everyone else was having a great time. Once I had told my flatmates how homesick and lonely I had felt in the first couple of weeks they were really supportive, so if you get homesick or lonely let your friends / flatmates know as they'll most likely feel a bit homesick too. The second week at university meant starting lectures, luckily it was just lectures I had to attend as seminars started a week later, this meant I could get used to my way around campus. Once lectures started things got slightly better, I had less time to worry and could concentrate more on my course. The month of my birthday, I ended up going home for the weekend of my birthday, it was the third weekend at university so I still didn't know my flatmates that well and didn't really want to go out clubbing. It was nice to go home although it made me feel a bit more homesick when I got back to university. By the end of October I had made better friends with a couple of my flatmates and felt a lot more comfortable at university. I didn't feel homesick and had finally got round to sorting my room out properly and making it more homely and personal. I also had to write my first essay (picture 4), this was another learning curve as I wasn't used to having to reference but eating a whole tub of Ben and Jerry's helped a lot. October also meant Halloween (you can see my cute pumpkin in picture 2), we had a flat party to celebrate halloween and it was the first time that I've really dressed up and done something for halloween. I didn't include a picture of my costume in this post as I think I look pretty awful, lets just say I'm not the most skilled when it comes to turning myself into a skeleton! By November I felt a lot more used to living at university and had some things to look forward to. Myself and two of my flatmates had signed ourselves up for something called the great escape which is where you have 36 hours to get as far away from your university as possible without paying for any transport whilst raising money for charity. It was cold and stressful at times (especially at 8pm at night when you're standing at a junction in the middle of nowhere thinking you may be stranded) but it was also a lot of fun. We got to ride in lorries, one thing I learnt is that lorries are not easy to get in and out of especially with a bucket full of change and when the driver starts moving when you're still climbing up the stairs! We only made it to Dover as we were unable to get a ferry to France but it was still a good experience. Thinking back it probably wasn't the safest thing to do but it was very well organised and we meet quite a few other students from different universities along the way. I also went to a boat party in November as it was my flatmates birthday so we thought we'd do something a bit more special. It was nice to dress up a bit more as most of the student nights were pretty casual, I now know why I don't bother wearing heels to clubs. It didn't help that we had to run for the bus, I can't run and I definitely can't run in heels!! The last month of first semester, by this point I was settled at university and apart from the thought of January exams I was enjoying everything. We decorated our kitchen with a Christmas tree my parents bought up from my home (picture 6), we also attended our accommodations Christmas ball (picture 8). It was a lot better than we had expected although we weren't happy that there wasn't a chocolate dessert! We made up for the chocolate with cocktails at the after party (picture 9), we tried a toblerone one and a popcorn one. For the last week of term, we decided to have a flat Christmas dinner, we went all out and ended up with a lot of food. I had to cook a whole chicken for the first time and was paranoid I'd poison my flat but we all lived! So that's a summary of my first semester at university, I'm planning on doing one for my second semester too. This turned out to be quite a long and rambly post so if you managed to get to the end then well done! This is partly for myself as well so I can look back and read this in the future. If you have any posts about your university experience then feel free to leave a link. 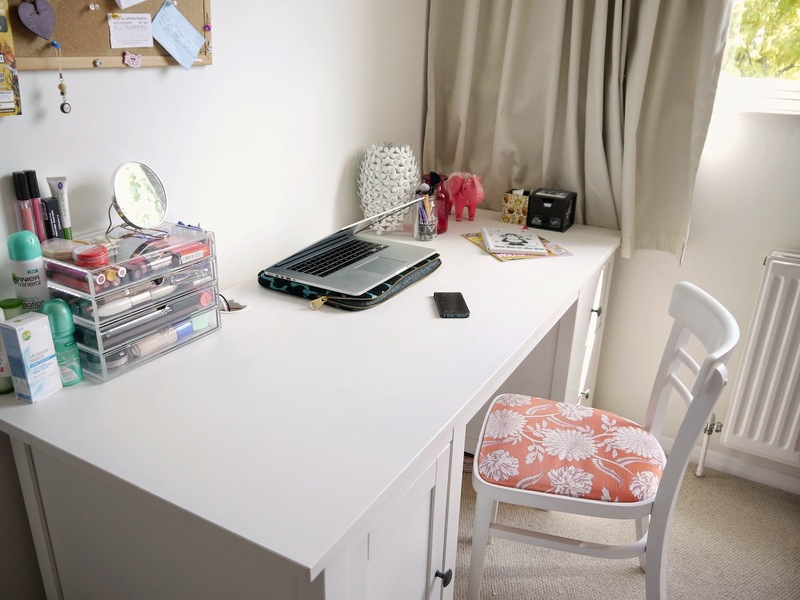 Today I thought I would do a quick post about where I blog, I quite like reading these sort of posts as I'm always looking for inspiration for my desk area, my desk area is pretty simple especially when it's tidy and not covered by mess. 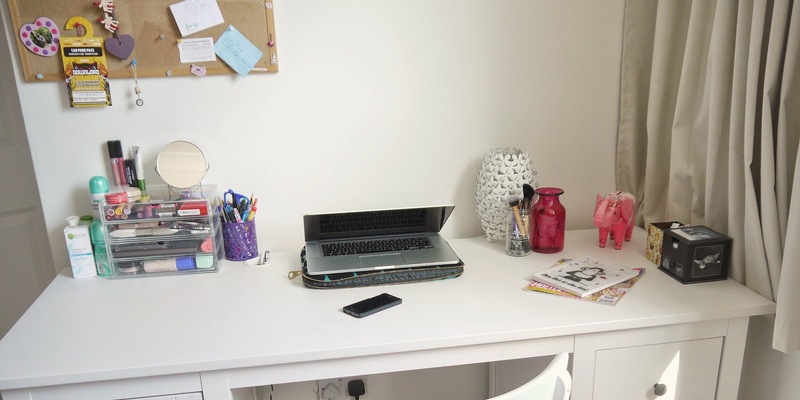 My desk is where I do most of my blogging, I know some people like to blog in bed etc but I prefer to type at a desk. The actual desk is from Ikea and the chair was from a charity shop, my mum changed the fabric on it so it matched my wallpaper. 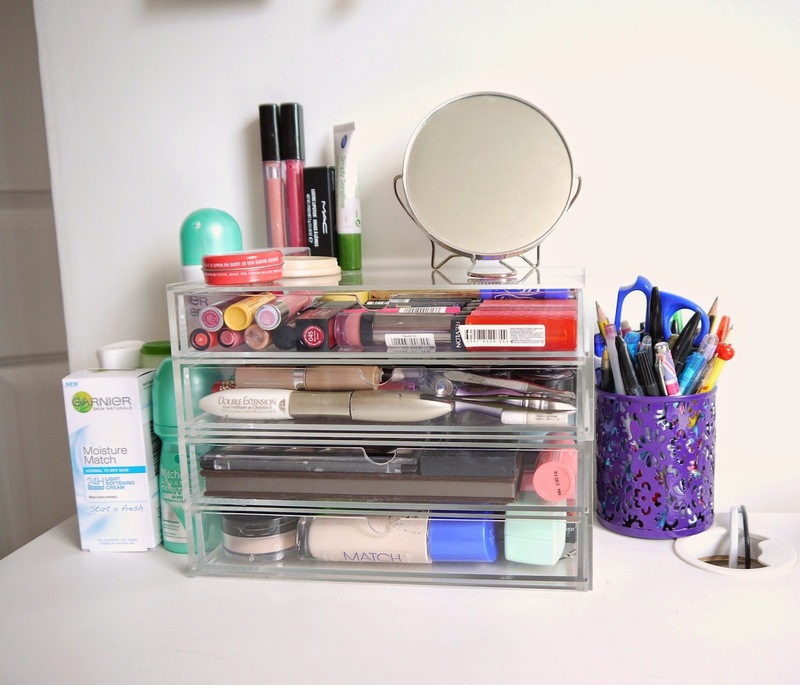 I keep my muji storage on my desk as it doubles up as a dressing table and also some moisturisers. Lastly I have a lamp which I got from Next in the sale, the pink vase is also from Next. Then I keep my elephant piggy bank on my desk and a little box where I keep some sample of products. The notebook is from Germany which is why it is in a another language, I use it as my blogging notebook after keeping it in my drawer for about three years! It has squares rather than just lines which I find handy for writing out lists etc. Most of the stuff on my desk is going to moved to my university room soon so I may do an updated desk tour once I've organised my room at uni. I'm guessing a lot of you own a Boots advantage card and if you don't I would definitely recommend getting one! I used to be quite bad at saving my points and would get to around £10 then use them but recently I have been trying to save them for longer. With the help of a few double points vouchers I managed to build up thirty pounds worth. By this point I decided I would spend them, at first I was going to buy a high end lipstick but then I decided I wasn't really that fussed. In the end I ended up picking up four items and now have about £4 left to spend, which is quite upsetting as I feel like I have to start all over again but at least I have some new products which I got for free! This was the first product I picked up, it already had 1/3 off and then there was a £5 voucher in the Boots magazine. I was initially going to buy the newer gel moisturiser from the range but my Boots didn't have it in stock so I went home and read reviews on this and decided that I wanted to try this more as it goes under your existing moisturiser. I haven't tested this yet but once I have I will write up a review. I've been getting into brow products much more recently, at the start of the year I owned a grand total of zero and I now have five. I wasn't initially going to get this but it was on offer for £2.99 so I thought for that amount of money I might as well give it ago. I've only used this once but already like it a lot, it's very easy to use, I also own the Maybelline brow gel but prefer this one as the brush is smaller and this makes it easier to brush through the brow. I don't usually opt for brighter lip colours but I wanted to try something out of my comfort zone, I also tend to stay away from bright colours as I feel they make my teeth look even more yellow but I am getting my teeth whitened so hopefully I won't have that problem any longer. 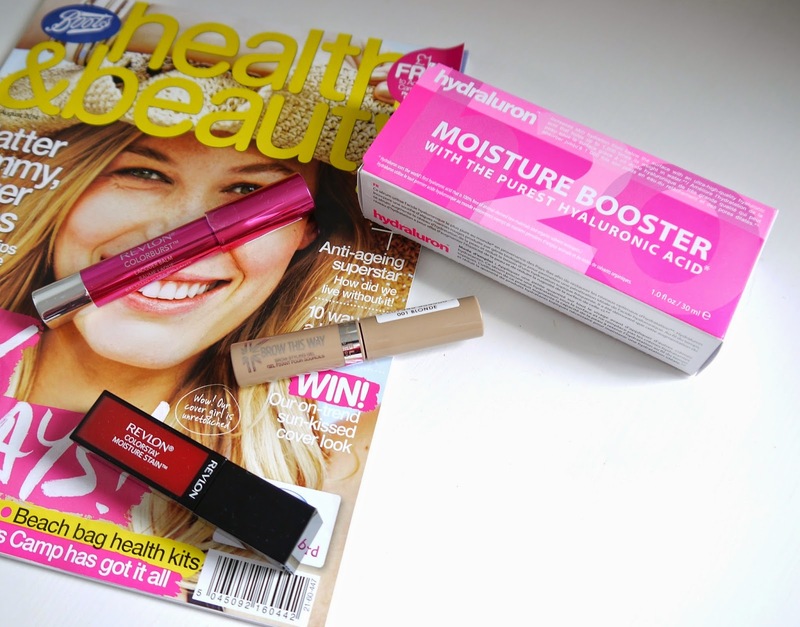 Revlon had a two for £10 offer on so I picked up another one of their lip products, one of the new Moisture Stains. 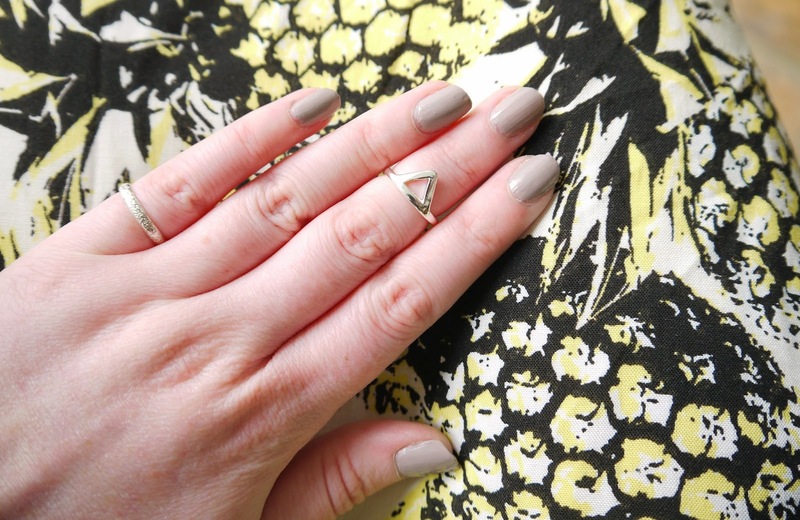 I chose 'New York Scene' after spending a good hour comparing swatches online. The name did have a slight part in the choice as I'm going to New York in March and thought it would be a great shade to take with me. It's a lovely deep red that's slightly more pink on the lips. I won't write too much about it in this post as I am planning on doing a separate review soon. So that's what I picked up with my Boots advantage points, have you purchased anything with your points recently? I don't technically need anything new for university as I have most of the necessary stuff already from last year (although I do need a new oven glove as mine ended up with a massive hole in it). But I couldn't resist picking up a few new bits when I went shopping the other day, in all honesty I could of survived without the new bits but that's what happens when I go into town for a mooch. Wilkinons had 3 for 2 on some of their stationary so I picked up the cute pins (£1.50) as I'm hoping to have a pin board in my room. 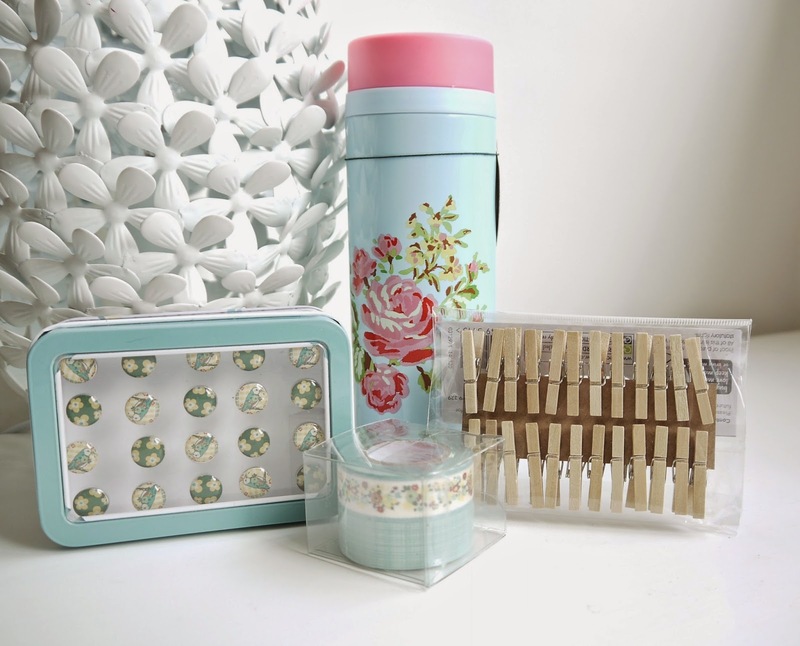 I also got some washi tape (£2) this is to use in my scrapbook and then the weekly planner (£2.75) which is in the picture below. I had wanted a weekly planner for a while, the ones in Paperchase are really nice but I couldn't really justify spending £8 on one when I could get one for a lot cheaper. 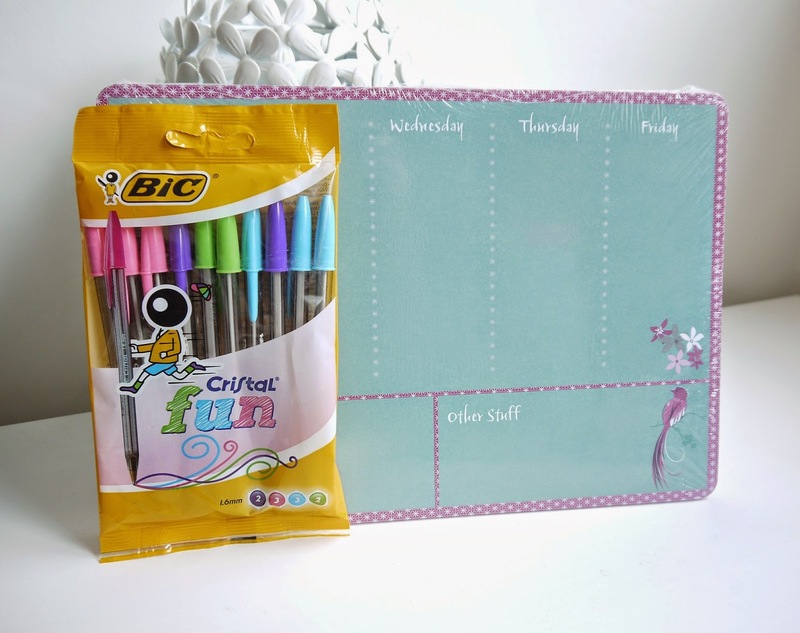 I'm hoping it will help me stay organised with uni work and blogging! The little pegs are also from Wilkinsons (85p), I'm planning on using them and some string to hang photos across my wall in my uni room so the walls don't look as bland. I'm not sure how strong they are as they look a little like they might snap easily but hopefully they'll be able to do what I want them to do. The drinks flask was from Home Bargains (£3.49), I already have a hot drinks cup from Primark but this one has a lid that is more secure and is insulated so should keep my drink warmer for longer. I thought it would be good for taking coffee or green tea to uni (especially as I'll have to get the bus more next year) or maybe even some soup in the winter. I also like the size of it, they had the usual insulated flask size but I thought this one would fit into my bag better. And I also thought the pattern was really cute! The pens were half price in Wilkinsons (£1.70) so I got them for revision to make my notes look a bit more exciting and colourful. Anything to make revision feel less boring! 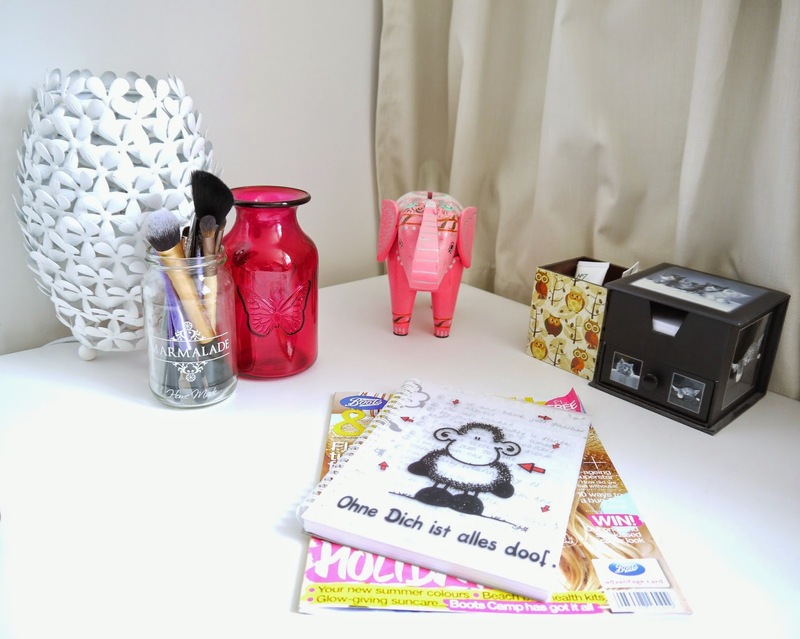 I got a couple of items to help decorate my university room and make it look a bit more homely. 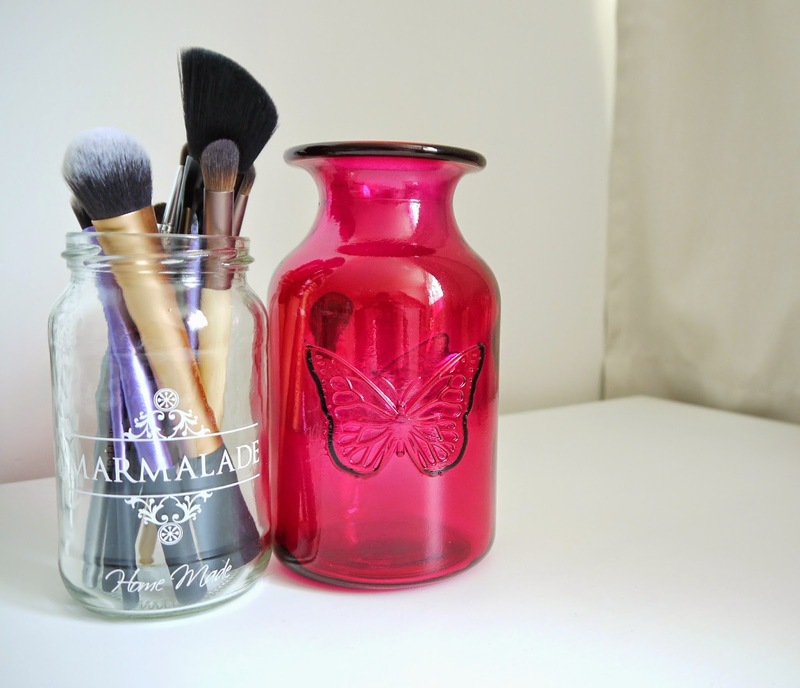 The jar, which I'm using as a brush holder, was from Tk maxi and was £1.49. I'd been looking for something to keep my brushes in for a while and thought this was really cute. The vase is from Next (£4) and looks lovely empty but I will hopefully put flowers in it once I'm at uni. It came in clear, green and purple too. 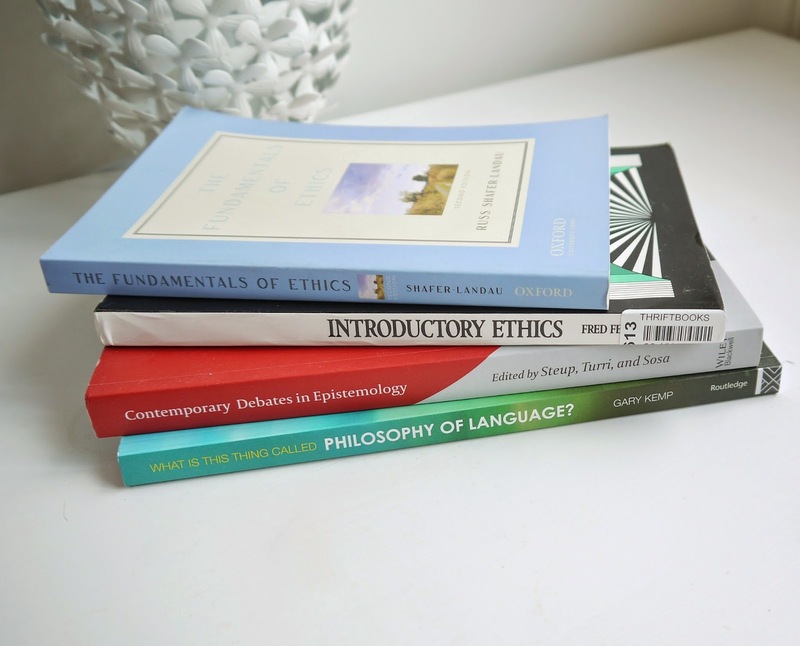 Lastly, the most boring purchases are books for my course next year, I am hoping to read at least a couple of them before I start back in September although I've had them for over a month and haven't started any. They were all from Amazon, I'd also recommend looking at the used books as I managed to get one of these that was supposed to be £40 for about £8 because it was used. So that's my small university haul, I'll most probably end up buying some more stationary bits before I start my second year but you can never have enough stationary right?! 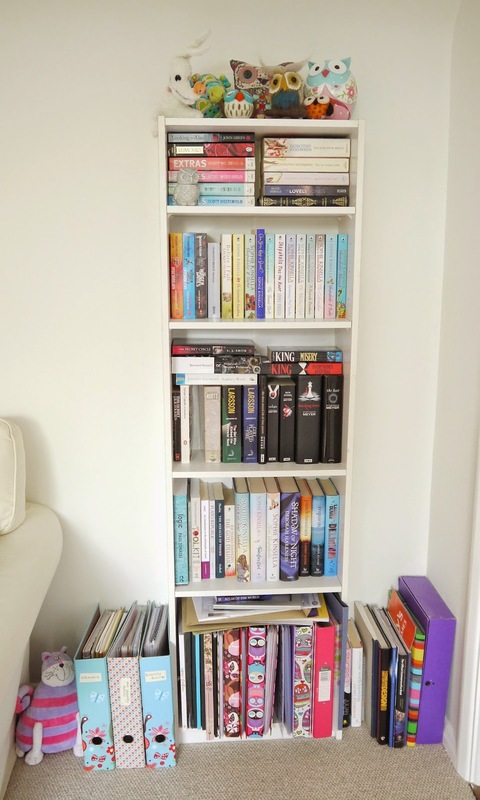 A bit of a different post today, I thought I would show you what books live on my bookshelf, I enjoy reading but since starting university found myself reading less and less, but over the summer I had the time to rediscover my love of reading. On the top shelf along with a lot of owls, I have some books which I guess would be classed as young adult fiction such as 'Looking For Alaska' and the Uglies series. I also have a copy of 'Wuthering Heights' which my nan gave to me. There's also the 'The Lovely Bones' which I would recommend. The contents of this shelf illustrates my obsession with Sophie Kinsella books when I was younger, I have all of the Shopaholic series and some of the others. I also have a brand new set of the Hunger Games trilogy, I have read them but I borrowed them from the library so didn't have my own, so I decided to buy my own set. I'd also definitely recommend 'Before I Fall' by Lauren Oliver. Quite a few of the books on this shelf were ones I read to help me to write my english coursework back in sixth form such as 'In Cold Blood' which is based on a true story. There's also my Twilight collection which were my favourite books way back when I was in year 7! 'Cloud Atlas' is the book I am currently reading, it's split into six stories that are all linked in some way. The books on the left are ones that I needed for my university course, then there are more Sophie Kinsella books, I particularly like 'Twenties Girl'. There's also the 'Delirium' series which I enjoyed although I thought the last book was a bit of a let down, they are written by the same author who wrote 'Before I Fall'. On the bottom shelf are just a lot of folders, I went through a stage when I started GCSE's were I would buy lots of pretty folders and then I never ended using half of them. They definitely come in handy for university though! So that's a little insight into what books I have read, what's your favourite book on your bookshelf? I don't tend to do outfit posts, in fact this is my first. This is partly due to the fact I have no idea how to pose as you can see by the pictures and also because over the summer the clothes I've worn the most are my pyjamas. Last week, me and my friends from school had a meal out to catch up as most of us hadn't seen each other since Christmas. We ended up going to Pizza Hut as it's pretty cheap and everyone likes it there, it's become our go to place for get togethers. 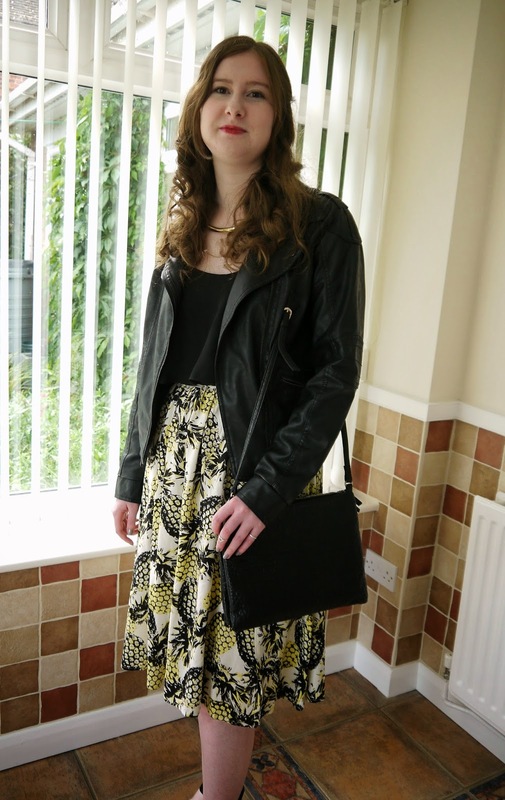 Although we were only going to Pizza Hut I thought I might as well dress up a bit and thought it was the perfect opportunity to wear my new skirt from Primark. 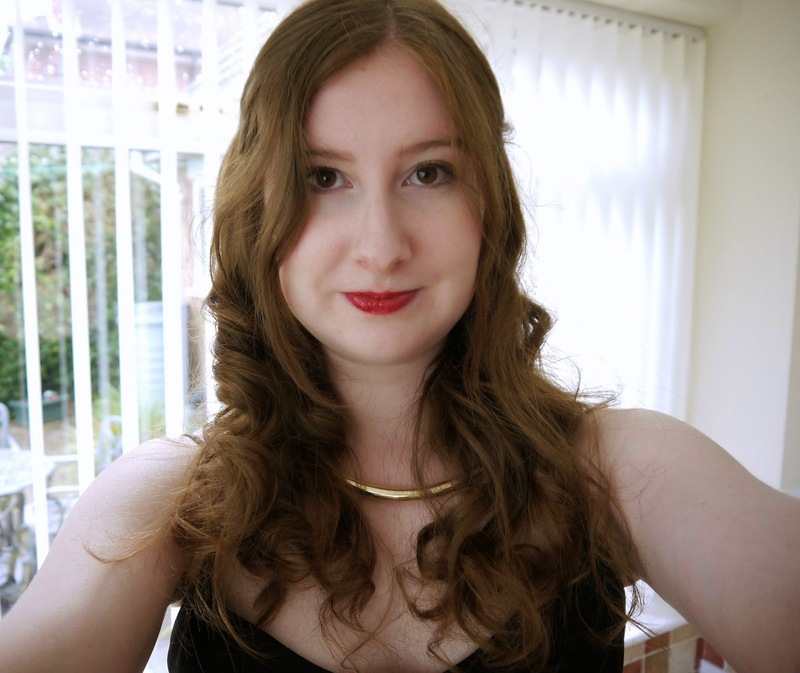 I ended up getting ready earlier than I needed so whilst I was waiting I thought I'd get my mum to take some pictures of my outfit for me, the lighting and background aren't great but I wasn't planning on taking any pictures! I also realise that my whole outfit is basically Primark apart from my top which is from Tesco and my jacket, I don't actually know where the jacket is from as someone left it in my flat after a party and never returned to get it so at the end of the year I thought I might as well take it as I don't own a black leather jacket, obviously I washed it well before wearing it!